Butlers Bingo has another bingo bonus give-away this week and this time it's all about those adorable, fluffy, Kute Kittens. The Kute Kittens Give-away is worth 4385BBz and will play between now and the end of the month. Play the special bingo games and when you win 1 line, 2 lines or a Full House, you will get an extra £1BBz. Prizes are credited instantly after you win so you can get back to doing what you do best, playing bingo! 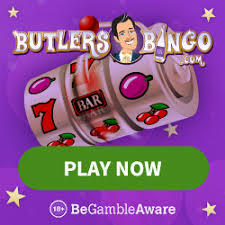 Apparently, it's British Beer Week the first week of August so in true jump on the bandwagon style, Butlers Bingo has another give-away to honour this occasion. Win an extra £4BBz when you score a Full House in the special bingo game and treat your Nabors to an extra £1BBz each too. Failing that, head to Earls Court and indulge in a spot of beer tasting at the Great British Beer Festival 2011. New players who join this bingo site get a free £10 trial, no deposit required, no strings attached. After you play through your free bonus, you will have to make a deposit to carry on playing but don't worry, there's 200% first deposit bonus awaiting you right up to £100.